Whether you just want to take a stroll along the river, get lost in the woods, or spot some of the wonderful wildlife we have in the UK, these are the best places to visit and stay fin the British countryside. The countryside is often considered a haven, where many of us head to get away from the chaos of modern life, and unwind in the tranquil beauty of some of Britain’s best spots. So it’ll probably come as no surprise to many, that actually living there apparently makes you happier and less stressed than living in an urban area. According to research conducted by the estate agency Yopa, homeowners who live in the rural area report being happier than those living in cities or towns. 31% of those who live in the countryside stated they were ‘mostly happy’, while only 25% of people living in cities said the same. 18% of people who live in urban area also claimed they were ‘constantly stressed’, while a far lower percentage of people living in the country said the same. City dwellers also stated that they were more worried about crime and air pollution than those in the country. So it seems it really may be better in the countryside – but what do you think? Well, if you’re not quite ready to up sticks, why not take a look at these gorgeous countryside escapes, which will give you all the benefits of a rural lifestyle for a few days? The Gulf of Corryvreckan is home to seals and sea eagles as well as the world’s third largest whirlpool. Plus, you can see beavers at Knapdale Forest, which were reintroduced here in 2016. 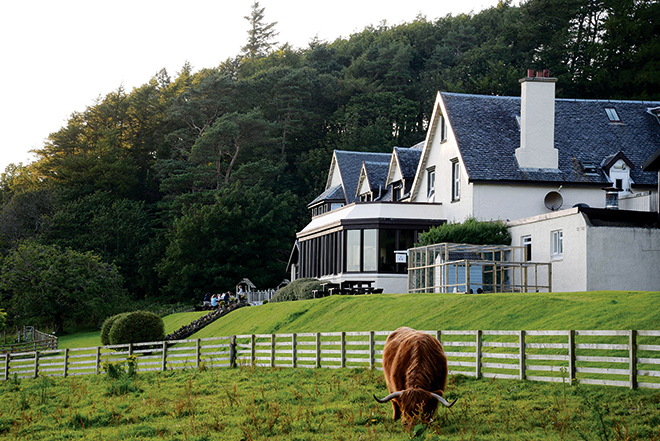 Stay at the Loch Melfort Hotel, which is set on the Argyll coast and has a restaurant focusing on local produce. A three-night Wildlife Break here costs from £680 based on two sharing, including breakfast and dinner. 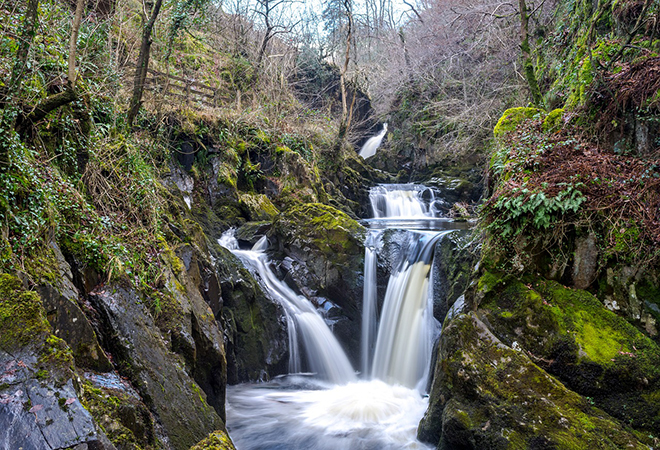 Here, it’s the breathtaking scenery you’ll admire first, starting with the Ingleton Waterfalls, a series of impressive falls that you can view on a trail that takes you around part of two rivers, the Twiss and the Doe (one of the falls, Thornton Force, was an inspiration for the artist William Turner). The area has been designated a Site of Special Scientific Interest thanks to the abundance of rare and interesting plants and wildlife to be found here, including red squirrels, great crested newts, black grouse and buzzards. Nearby is the Foulshaw Moss Nature Reserve, which has an osprey conservation project following a pair of these beautiful birds – catch them on its webcam before you go! Stay in the beautiful Yorkshire Dales National Park at Hipping Hall – a former home to 18th-century gentry. It has several stylish, luxuriously appointed rooms throughout the main house, as well as in a converted stable block, and a cottage in the grounds. In 2010, Rob Brydon and Steve Coogan stayed – and dined – here in their foodie comedy, The Trip. 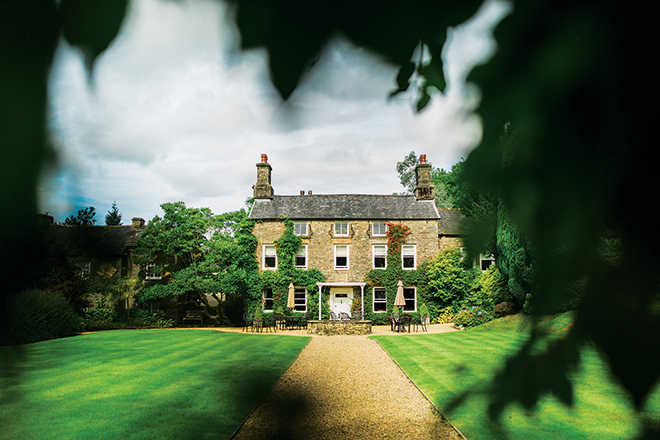 A cosy double room at Hipping Hall costs from £179 per night, including breakfast. Explore the wildlife-rich wetland reserve of Cors Dyfi in Powys, which is home to a marvellous mix of birds and animals. Here there are smaller mammals, like dormice and otters, and birds including nightjars, reed and sedge warblers, among beautiful flowers and plants, from yellow irises to round-leaved sundews. The reserve also successfully bred ospreys here for the first time in 2011, which come here between April and September. In winter, you’ll also see barnacle geese and hen harriers. Get up among the treetops in a comfortable treehouse, deep in the heart of the Welsh mountains. On top of a spiral staircase you’ll find a futuristic curved pod, with a sumptuous double bed and bunk beds. Each treehouse has a living space with a kitchen and small outdoor terrace with a hot spring water shower; at night, as there’s no electricity, illumination comes from lanterns, lamps and tea lights, adding a romantic element to this quirky stay. Two-night stays in a Living room Treehouse cost from £379 for two. At the Mo at Community Nature Reserve you’ll find colourful plant life and insects in the wild flower meadow in summer, to wading birds, curlew, snipe and lapwing in winter. Set in a former quarry, the nature reserve is also home to foxes, roe deer and mallards. Nearby, you might also spot osprey or golden eagles. Don’t miss the striking waterfall at Grey Mare’s Tail Nature Reserve. The Running Water Deluxe Wigwam Cabin, with en-suite bathroom and mini-kitchen, based on two adults sharing, costs from £170 for two nights. Enjoy a bushcraft experience foraging for sea life around the shores of Jersey. You’ll go out with a professional forager and hunt for edible seaweed, lobster, scallops, limpets and more. Longueville Manor is a historic country house. Take a walk along the woodland trails or visit the restored Victorian kitchen garden. 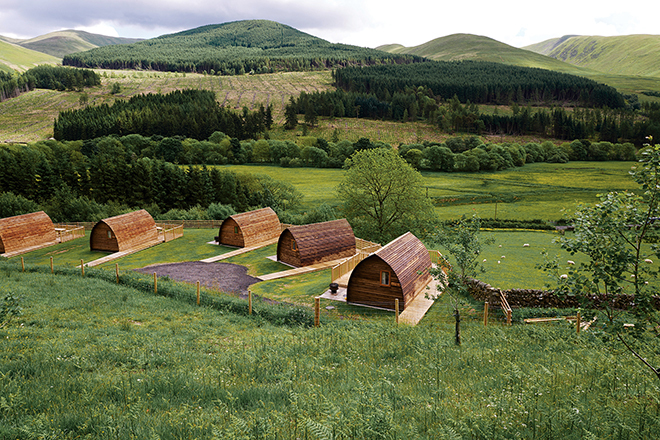 A package for two, including breakfast, three hours’ bushcraft activity and dinner costs from £395. 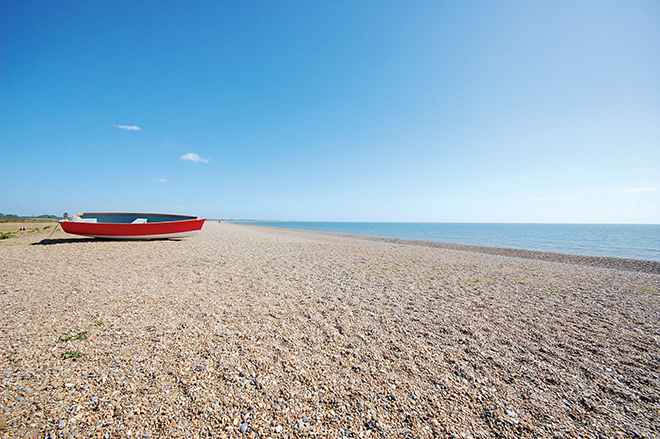 Set on the Isle of Sheppey, Kent, at Elmley you’ll find a haven of wildlife. There are four hides: one has an open-air screen on the sea wall, where you can see wildfowl and roosting waders; the others overlook ponds where you’ll see thousands of wading birds. 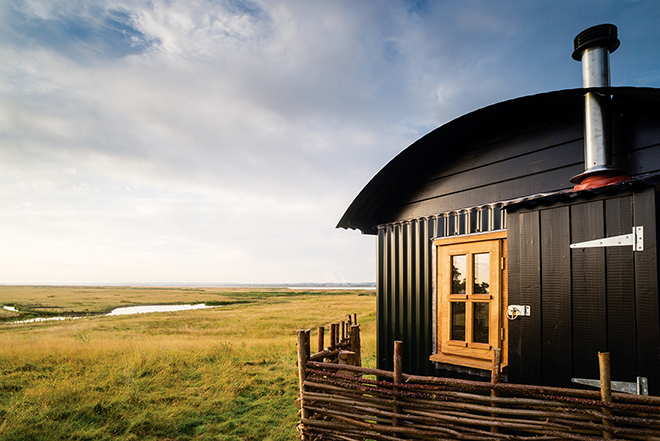 Enjoy one of six stylish shepherd’s huts on the reserve, with en-suite bathrooms and kitchens. One night costs from £75. On a swimming expedition around some of Scotland’s most beautiful islands, including Skye, Rum, Eigg and Muck, you’ll get a seal’s-eye-view of the local wildlife. Rum boasts one of the largest Manx Shearwater puffin colonies in the world, and it’s also home to Eider ducks, golden and white-tailed eagles, and even basking sharks. Minke whales and short-beaked dolphins are also seen in the waters around Skye in the summer months, and you’re likely to spot common and grey seals. 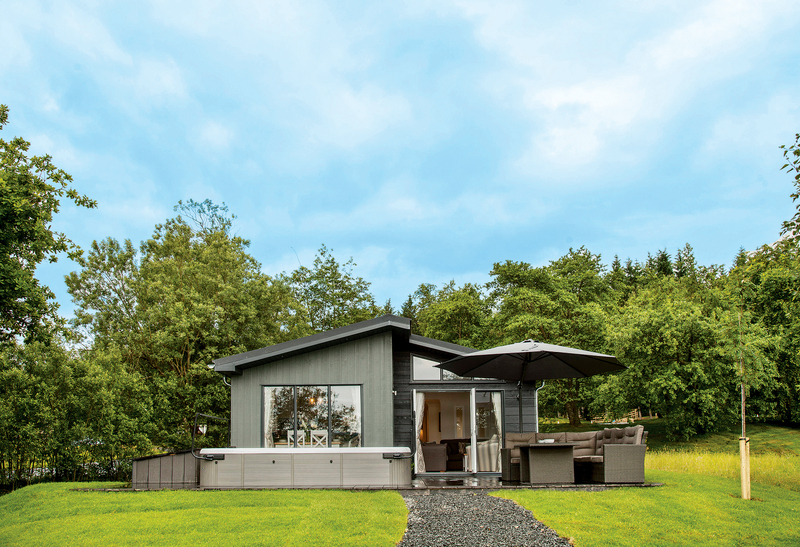 On this live-aboard swimming trip, you’ll partake in a mixture of coastal and freshwater loch swims, doing around 3.5km a day. 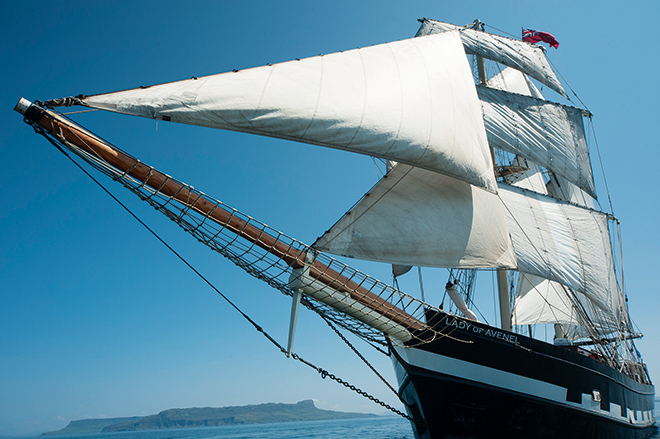 You’ll be staying on board the 100-foot majestic, multi-sailed tall ship, Lady of Avenel, which will explore the coves, sounds and lochs of the Inner Hebrides. Lady of Avenel is equipped with six comfortable guest cabins, and meals are prepared by the on-board chef. There is very limited WiFi and mobile phone reception, so this really will be a trip where you get properly back to nature. A seven-day expedition on board the Lady of Avenel, including accommodation, all meals and guided swims, costs from £1,420 per person. Dunwich adjoins the RSPB Dingle Marshes Nature Reserve and RSPB Minsmere, home to BBC’s Springwatch, is three miles away. You’re likely to see avocets, bitterns, Marsh harriers, stonechats and wigeons. RSPB Minsmere offers wildlife walks and 4×4 safaris. The School House sleeps up to six, with unbroken views over the marshes and sea beyond. A three-night break costs from £585. Skomer Island, located just a mile off the Pembrokeshire coast, is best known for puffins and, thanks to the work of The Wildlife Trust of South & West Wales, the species population is actually growing every year. They’re best spotted between May and July after they’ve returned to their nesting sites. But Skomer is also home to atlantic grey seals, plus dolphins, porpoises, gannets and fulmars. The island is perfect for a day trip. Base yourself at Roch Castle, which has beautiful panoramic views across St Bride’s Bay out towards Skomer. Originally dating from the 12th century, it has been a small, luxury hotel for the past 10 years, and its location, service and delicious food have seen it win several awards. Rooms at Roch Castle cost from £160 per night..
Northumberland’s beautiful, award- winning Kielder Water & Forest Park is a fantastic natural habitat for many rare species of native British wildlife; it is home to England’s largest red squirrel population, and in 2009, ospreys returned to the area after more than 200 years. There’s a bird of prey centre, home to over 60 birds – including falcons, hawks and vultures – and a salmon hatchery. The park also has the darkest skies in England, making it perfect for stargazing. There are 19 waterside lodges to choose from, sleeping from between four to six people, and many accept dogs. Some have BBQ facilities, and others have hot tubs; all of them are tastefully decorated with full bathroom and kitchen facilities. Lodges start from £430 per week.